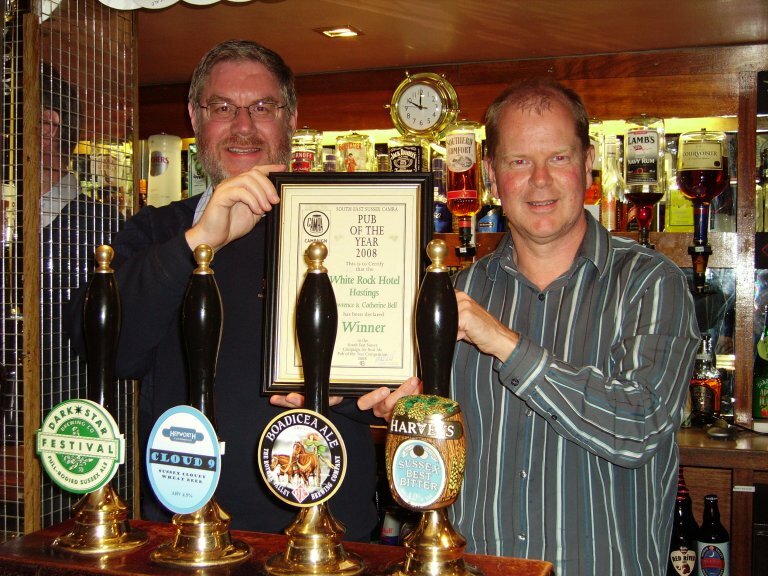 South East Sussex Branch pub of the year is the bar of the White Rock Hotel, Hastings . Only a G.B.G. entry from 2007, manager Laurence Bell set out to sell just Sussex beers, seeking help from the Branch when he started up. The branch recently held its A.G.M. at the White Rock at which Branch Chairman Peter Page-Mitchell presented the award. Picture shows Peter and Laurence behind handpumps with beers from different Sussex breweries.